On Friday, December 14, a group of Cal State LA students advocated original and provocative strategies to address inequality rooted in months of research. Their plans analyzed gentrification, education equity, and immigration at the local level in the context of national and global forces. In front of an audience of campus and community leaders, their strategies started with small, practical steps and articulated plans to impact macro inequality. Their proposals drew on months of study including original qualitative and quantitative research on top of scholarly readings. These scholars completed midterms, final exams, and then wove the insights and concepts from their research into practical proposals for change, showing that scholarly learning and applied advocacy are not zero sum. Monday marked the Innovation Summit for the Cultural Emotions course, focused on the question of how to create cultural change on topics from immigration to higher education inclusion. Each team advanced a strategy for change based on qualitative and quantitative research and deep engagement with their own communities; many engaged local leaders in their neighborhoods to design and refine their proposals. This is sociology in action: these ideas were created to be shared, and many students are now working on implementing their proposals. Please read below their original presentations, strategy proposals, and pictures from the event and reach out if you want to help them take their ideas forward. CaSIG is a coalition of CSULA faculty, students, staff, and community partners who steward students in making positive social change with purpose and creativity. Founded in 2017 by professors Marla A. Parker and Dmitri Seals, the Group now engages dozens of community partners and reaches over 200 students per semester across a wide variety of disciplines. The Civic and Social Innovation Group (CaSIG) is a group of faculty, staff, and students on CSU-LA’s campus stewarding the next generation of change makers. The Civic and Social Innovation Summit (CaSIS) is our signature event featuring the work of our students who have been working very hard for the entire semester to develop ideas that will make people and places better. 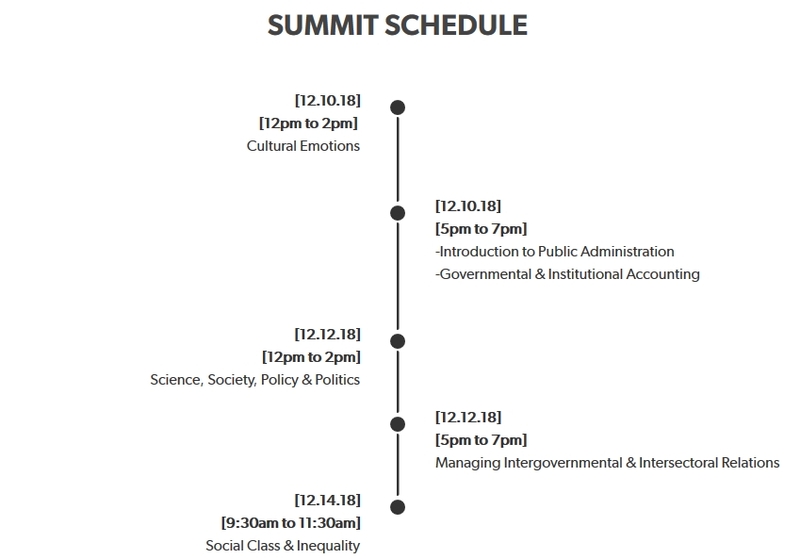 In 6 course sessions from December 10 to 14, at least 100 students working in teams will showcase their ideas in pitch style sessions covering a range of issues including gentrification, recidivism, education, mental health, transparency in public finance, environmental injustice, sexism, racism and more. Whether you are a student, faculty, family, or community partner, we would be honored by your presence as students share their innovative ideas for positive social change!